I can just imagine Perez Hilton shaking his booty to this one. With the English version I’m more perturbed by the angsty singing and the glaring fact that Sohee should not be singing. I’m not saying that to be funny, it’s just really unacceptable to have strong singers preceded or followed by her voice. The Wondergirls have just released the English version of ‘Nobody’ for their American debut. The single is available on iTunes now and on Amazon on June 27th. 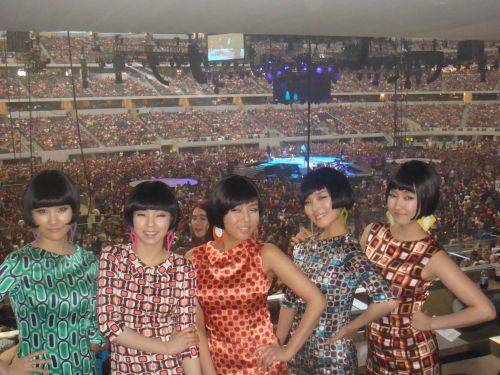 The Wondergirls will kick off as the opening act for Jonas Brothers on a 13 city tour starting in Oregon on June 27th.